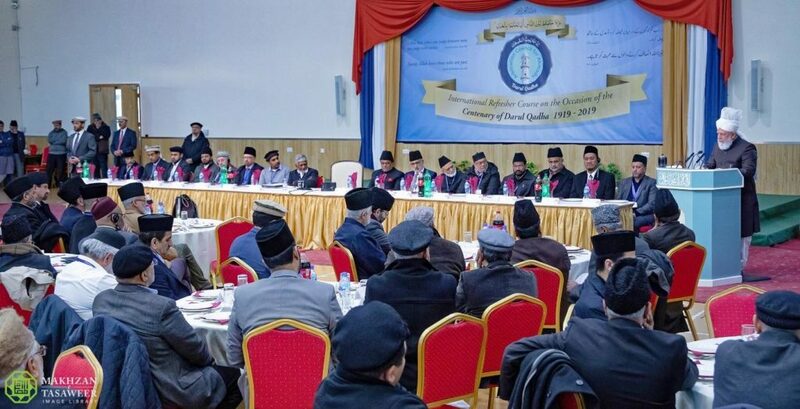 114 representatives of the attended from 15 countries for the weekend event held at the Baitul Futuh Mosque in south-west London on 19-20 January 2019. 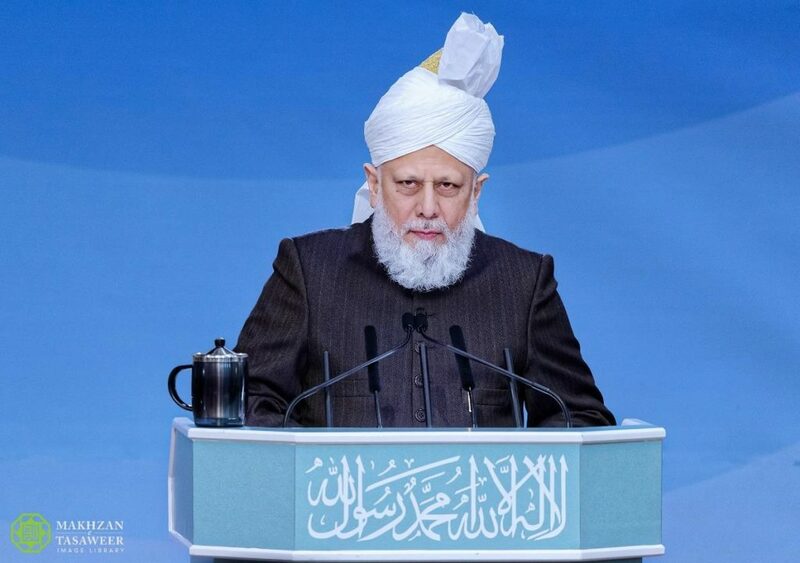 During his address, His Holiness drew the attention of the attendees towards fulfilling their responsibilities as arbitrators, according to the esteemed standards of justice and truthfulness outlined in the Holy Quran and by the Holy Prophet Muhammad (peace and blessing of Allah be upon him). Speaking of the weight of responsibility upon the arbiters, His Holiness said that upholding the requirements of justice was of paramount importance and that no decision should ever be taken lightly. His Holiness said that this verse contains detailed guidance and exhorts the readers to keep in view that God Almighty is aware of what is in people’s hearts. Decision makers in particular therefore should deliver their verdicts and opinions with complete sincerity and maintain the highest standards of integrity and impartiality at all times. 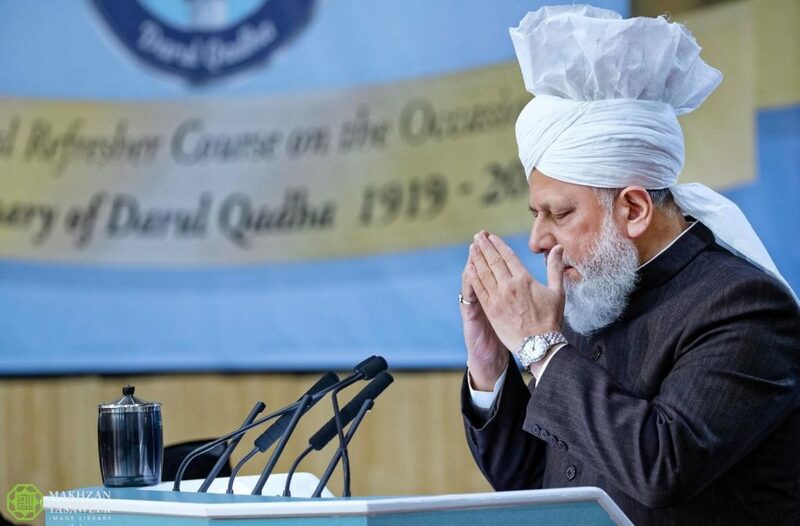 His Holiness said that the Holy Quran requires such standards of justice that a person must be ready to testify against himself or his close relatives in order to uphold the truth. 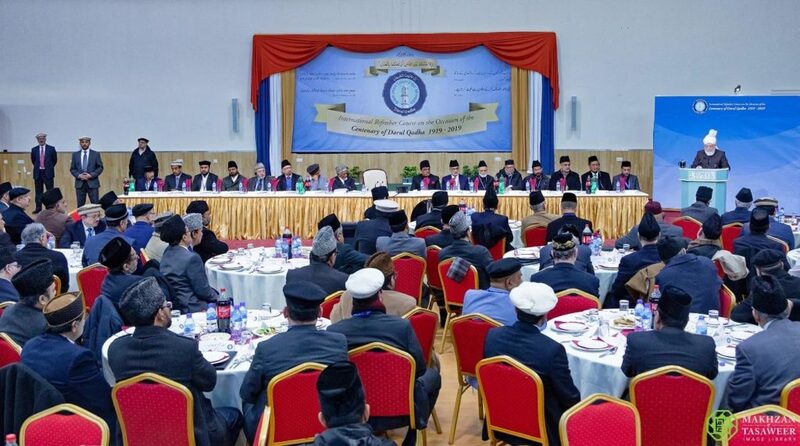 His Holiness said the demands of justice required for the members of Darul Qadha to be truly God-fearing. His Holiness also stated that in any case or proceedings, both parties should be listened to without prejudice and should be given ample time and attention. 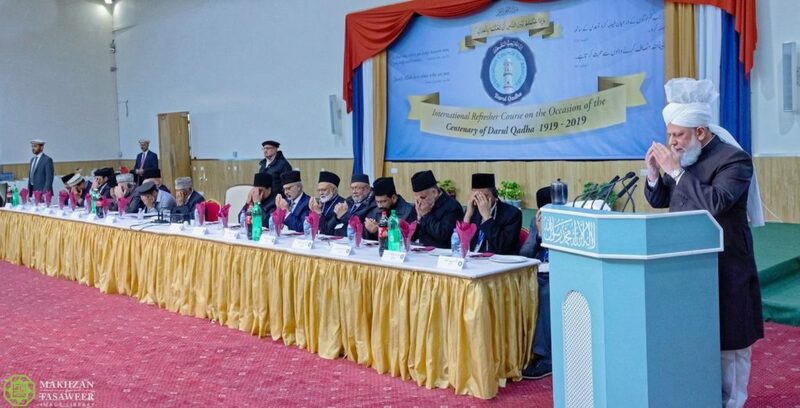 His Holiness also said that regular refresher courses should be organised at a national level in order to revise the responsibilities of Darul Qadha and its members, such as how to conduct proceedings impartially and how to draft decisions. The event concluded with a silent prayer followed by dinner and photos with the delegates.